This is just a random thread to show off your desktop wallpaper, layout, theme, etc. if you are inclined to do so. This isn't a new idea, these threads can be found on most any forum. Anyways, I'll go ahead and get it started and anyone who wants to jump in is welcome to. 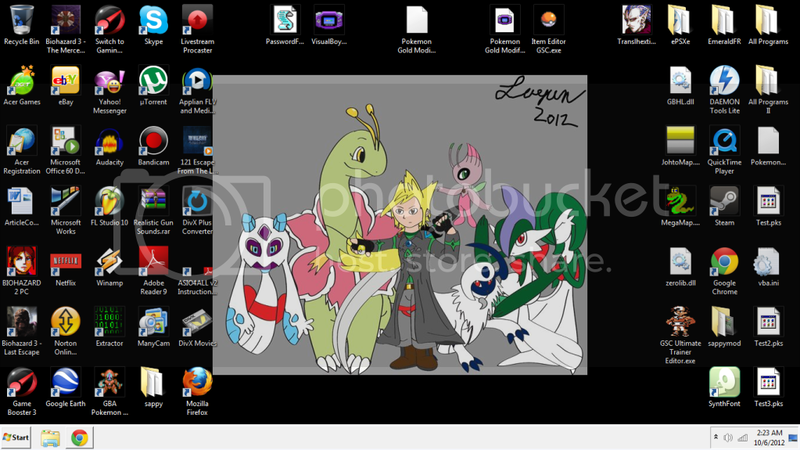 If you aren't interested in sharing your desktop or seeing others' then of course you can just ignore this thread. Or is it symbolism of your disapproval of releasing personal information such as a desktop? 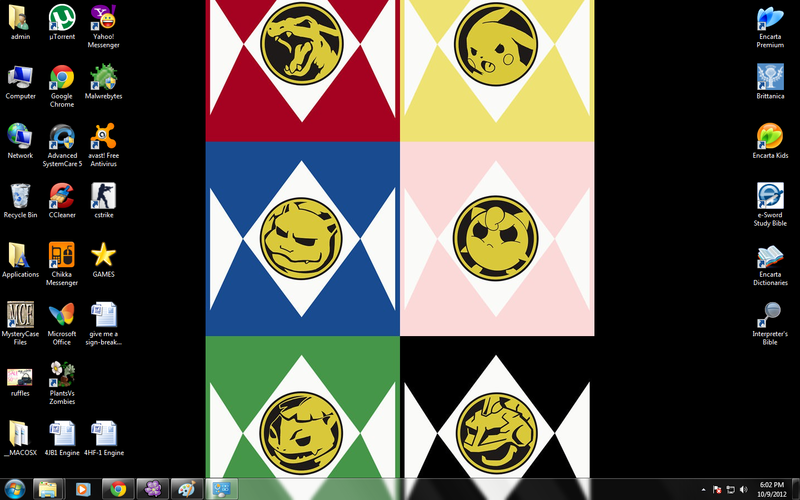 It really is my desktop. What’s the point of having a fancy wallpaper if it’s always covered by windows? What’s the point of having a fancy wallpaper if it’s always covered by windows? Mine has changed a little, since I've started hacking on Windows 7 again, and use my XP VM for a few things that still like to be odd, or if I need to jack my DPI settings up for a program and don't want to worry about fixing my icons again to find everything. Haha. As a joke, I made someone's wallpaper be the BSOD once, then hid the taskbar and desktop icons. Ah, haha very good. Now, someone ought to write a little code that'll do the same thing, then shutdown -s the computer. That'd wet a few pairs of pants, especially in a public place like that! Haha xD, I did another joke with public computer, I screeshoted the dekstop screen, then made it wallpaper, along with changing the icon place, so duplicated icon everywhere . Wouldn't be very hard. A short batch script in the startup folder. I'll have to remember that for next year. I did that once too. Had like 4 copies of each icon on the screen, and it was random which ones actually worked. There was also a week where a few of us were anonymously having an argument via editing the desktop wallpaper in paint. in Notepad and save it as Internet Explorer.bat, hide the extension, change the icon, and hide the actual IE. It was worth a few laughs. Mean? Maybe. Funny? Yes, definitely. We'd go from room to room to see how many cmd windows the computer could bring up before it crashed. I think the record was something like 70. My school had crap computers mostly, lol.